I seem to have gotten lost on my way to the picnic I was supposed to be going to. I’m pretty sure I’m not wearing the right duds for a ramble in the woods, but whatever. Sometimes the paths of life will take you to random places, so may as well take it all in while you’re there, right? There’s a new fun group gift at Coco! 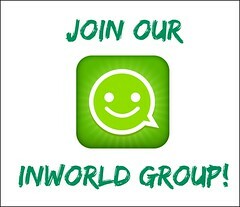 If you haven’t joined the group yet, what are you waiting for? 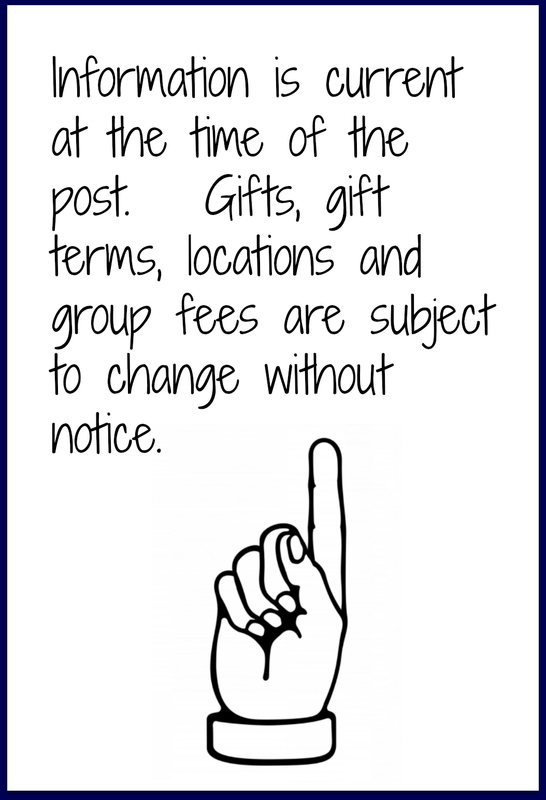 There are quite an impressive array of group gifts, and all you have to do to get them is join their FREE group! One of the most recent gifts is this really cool hot pink leopard print midi skirt, which you can either dress up or down depending on how creative you can get! It’s the quintessential cool girl addition to your inventory! Which way to the picnic? Categories: Free, group gifts, mesh, shirt, skirt, subscribe-o-matic | Tags: Aline Passiflora, coco, empire, Euphoric, fab free, fabfree, fabulously free in SL, free, freebie, Glam Affair, JUMO, Kibitz, lelutka, maitreya, Mangula, moon, Second Life, Second Life Free, Second Life Freebie, secondlife, sl, sl fashion, sl free, sl freebie, sl gift, sl style, subscribe-o-matic | Permalink. Hey Hey guys! I don’t know if you’ve noticed, but I am having a heck of a fun time putting together creepy cute outfits right now. I suppose it’s because in RL I can’t really run around wearing skeleton themed clothing so much, or don a witches hat every day of the month! 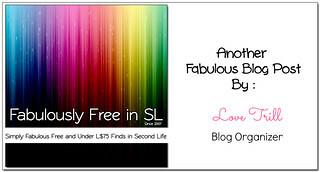 SL is like one looooong party and everyone’s invited! If you haven’t joined the COCO group, then what in the name of pants are you waiting for? We’ve been ranting and raving about it for a while here on Fab Free, so hop on over there and join their FREE group. There’s a wall full of goodies waiting for you! The most recent group gift is this really cute layered top. You can wear the black long sleeved tee and white skeletonesque shirt separately which makes for some cool outfit choices! I may just wear the white top over a black dress and have a bit of fun with it all! Make sure you add any photos YOU take in the Fab Free group on Flickr, because we totally love seeing your creations. Well my bones are aching, so off I go! Categories: costumes, Free, group gifts, mesh, shirt | Tags: Alaskametro, Aline Passiflora, Blueberry, coco, Euphoric, fab free, fabfree, fabulously free in SL, Glam Affair, JUMO, lelutka, little bones, maitreya, pout!, Reign, Second Life, Second Life Free, Second Life Freebie, secondlife, sl, sl fashion, sl free, sl freebie, sl gift, sl style, Sn@tch, Villena | Permalink. If you happen to have 5L jingling around in your SL pockets, click over the the z00m marketplace store, and check out the Azenha Dress! This dress is fitted for Maitreya and comes with a texture change HUD including 6 texture options. 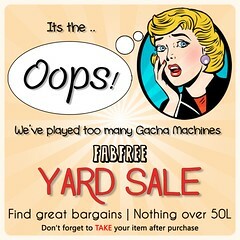 While you are in there, check out their other listings – because there are quite a few low priced items. Note – The sweater is an addition from my inventory and is not included. None of your friends will ever believe this long wavy hairstyle was free… I was lucky enough to stumble upon and “L” for the Tara hairstyle in the Brunettes pack at Little Bones on the lucky board. You don’t need to be in the Little Bones group to participate in the lucky boards, and there are rotating hairstyle prizes in a variety of colour packs! Categories: dress, Free, group gifts, groups, hair, jewelry, Lucky Board, Marketplace, mesh | Tags: 0L gift, 5L, Catwa, coco, Elle Boutique, fab free, fabfree, fabulously free in SL, free hair SL, free in sl, freebies sl, Glam Affair, Ikon, L'Etre, little bones, Livia, Love Trill, lucky board, LW Poses, maitreya, Marketplace, Second Life, Second Life Free, second Life free hair, second life gifts, sl, sl free, SL Freebies, sl gift, sl gifts, Whimberly, z00m | Permalink. Hello there Fabulouses! I have three really cute group gifts to tell you about in my blog post today. Now that I have started writing, I realize that I have no idea where to start since all three of these items are incredible. 1. I guess we’ll take it from the top! 2. There’s a new gift at COCO too! On the ever growing, massive wall of free group gifts in the COCO store, there is a brand new one right by the group joiner. This new gift is the High Waist Colour Jeans in Dark Grey. This group is free to join. The cute Pupper Love Mugs placed out on either side of my laptop are a free group gift at JIAN. These little cuties have a land impact of just 2 and are texture change! You can change the colour of the flowers and the puppies! These are copy/mod, and the group is free to join! 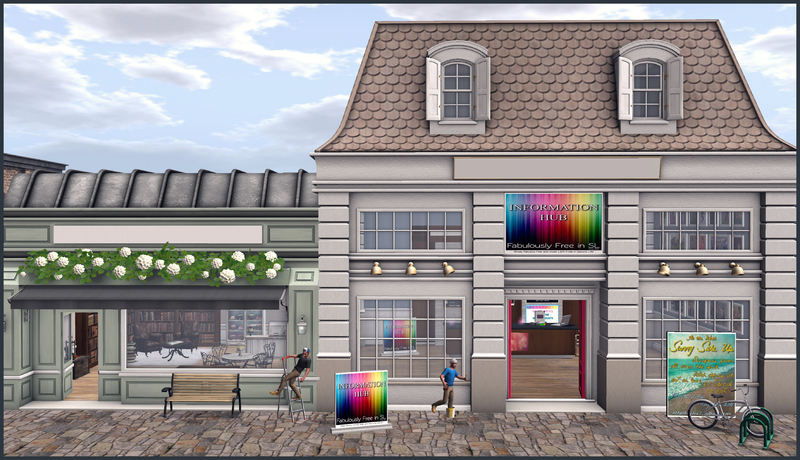 Categories: fitted mesh, Free, group gifts, groups, hair, Home & Garden, mesh, pants, pets | Tags: 0L, 0L gift, Alaskametro, Cae, Catwa, coco, fab free, fabfree, fabulously free in SL, free in sl, Glam Affair, group gift, Ikon, Jian, Love Trill, LW Poses, maitreya, Missing Melody, Second Life, Second Life Free, second life gifts, sl, sl free, SL Freebies, sl gift, The Liaison Collaborative, TLC, TRUTH | Permalink. Good morning FabFree!! I am stopping by today to share news about the latest group gift at COCO! I’m sure if you are a FabFree reader, that you are familiar with COCO, because we blog them all the time! They have a ton of fantastic quality free group gifts on the their VIP wall with a free group join. Recently they added the One Shoulder Top + Choker in blue as shown on my avatar today. This cropped top and choker are two pieces so you can wear them together or separate. ps. Thanks Tyr, for the allowing me to snap a shot next to your house at Baja Cove, and for the entertaining conversation about toothpaste tubes, and the correct / incorrect place to squeeze it. Categories: Free, group gifts, groups, mesh, shirt | Tags: 0L, 0L free, Baja Cove, Carol G, Catwa, coco, COCO group gift, Doux, fab free, fabfree, fabulously free in SL, free fashion sl, free in sl, Glam Affair, Ikon, Love Trill, LW Poses, maitreya, Mandala, Second Life, Second Life Free, sl, sl free, SL Freebies, Tres Chic | Permalink. Hello there Fabulouses! It’s been a while since I have pulled my bike out and taken it for a ride in RL. In fact, I can’t remember if I still own one. It may be in the back of the garage somewhere! All of this wonderful warm weather is sure opening me up to the idea to look for it, but today I decided to go for a ride inworld instead. Here when I crash into things and fall off, it doesn’t hurt :D.
My casual summer look today is put together with three group gifts that I had picked up at FaMESHed! I have done a couple of posts previously [HERE] and [HERE] to tell you all about the amazing lot of FREE group gifts available during this Anniversary round, and will be available until the end of the month. COCO Gift CropTee: Sizes Included – Maitreya Lara, Slink Hourglass & Physique, Belleza Freya & Isis. Le Fil Casse Monday Skirt: Fitted for Maitreya – Comes in White, red, navy, black & rose gold. RAMA Feeling Alpha Necklace: Comes in Black, Gold, Silver, Rose Gold & Copper. The FaMESHed inworld group is free to join, so if you haven’t made time to stop in and grab all of the free group gifts – you really should! Categories: accessories, events, Free, group gifts, groups, hair, jewelry, mesh, shirt, skirt | Tags: Catwa, coco, empire, fab free, fabfree, fabulously free in SL, FaMESHed, FaMESHed group gifts, Foxcity, free in sl, Glam Affair, group gift, Ikon, Le Fil Casse, Love Trill, maitreya, Mandala, Rama, Second Life, Second Life Free, sl, sl free, SL Freebies, Small Town Green, TRUTH | Permalink.